As a new investigator for G.H.O.S.T. 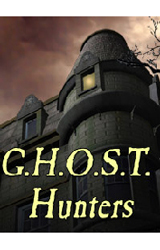 Hunters you have been called to Majesty Manor to investigate a possible haunting or to uncover a clever hoax. 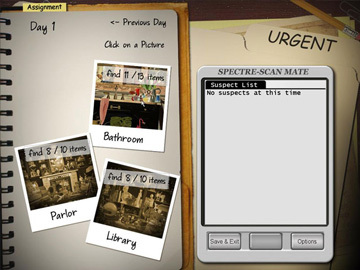 Search the house for clues and generate a list of suspects as you progress through the game. 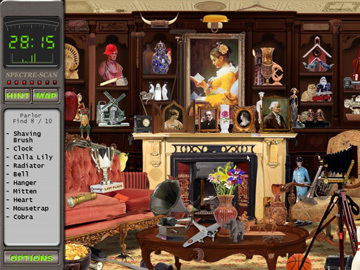 You can then eliminate suspects as you rush between the dark, shadowy attic and the haunted rooms in a final heart-pounding race against time. 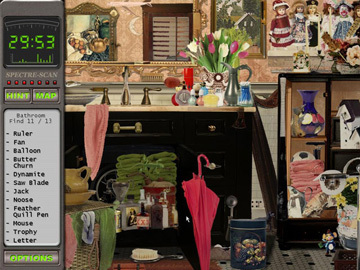 This hidden object game features stunning graphics, eerie music and clever game play.